BUTLER TWP. 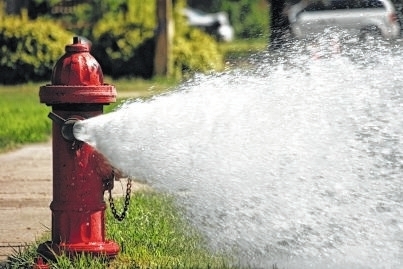 — The Butler Township Fire Department will be conducting fire hydrant testing from April 16, 2018 through April 30, 2018. There will be crews in various parts of the township throughout this time. Residents may notice a discoloration of the water, but the water will remain safe to consume. If there is any discoloration then you are encouraged to run your water for a few minutes prior to washing laundry, cooking, etc. We ask that if you notice any fire hydrants in your area leaking water or if you have any questions please contact Butler Township Fire Department at 890-2491 and ask for the duty supervisor.